I had five pieces in this show, co-curated by D. Dominick Lombardi and Robert Curcio, celebrating wide-ranging interpretations of the head, human and beyond. 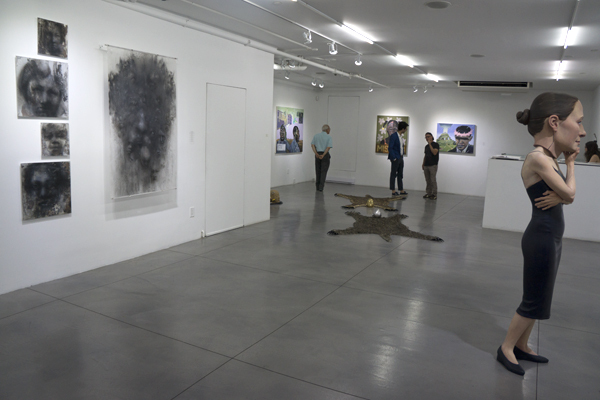 The exhibition at the BOSI Gallery on Orchard Street on the Lower East Side, ran from July 10 to August 11, 2013. 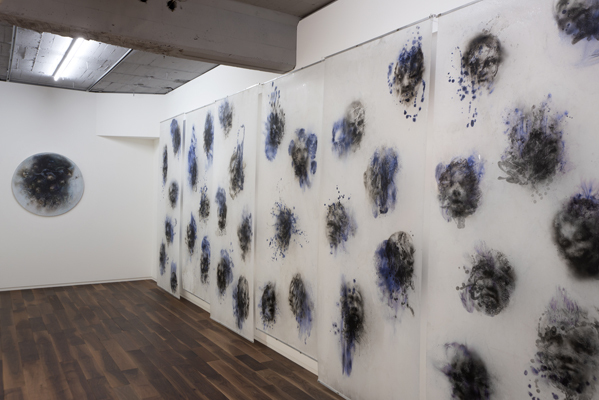 The exhibition, “Birth of Consciousness”, ran from April 25 throughMay 25, 2013, and consisted of work from the “ID-Portraits from the Unconscious” series, “River of Oblivion” , and “Isolation” a work, 20 feet x 8 feet, from my “Black Rain, Black Water” series. My video work “Arbor Vitae”, was also projected in the gallery, including five performances in collaboration with singers, dancers and a poet. I had a one-person exhibition in collaboration with the poet, Hideharu Ogawa.The show, located on three floors of the gallery, featured the series “Message from Children”, “Botanical Works”, and “Black Rain, Black Water”. There was also a performance of poetry inspired by the artwork. I was a finalist in the 2013 Outwin Boochever Portrait Competition sponsored by the National Portrait Gallery in Washington, DC. The opening reception was held on March 22, 2013. The exhibition continues through February, 2014. 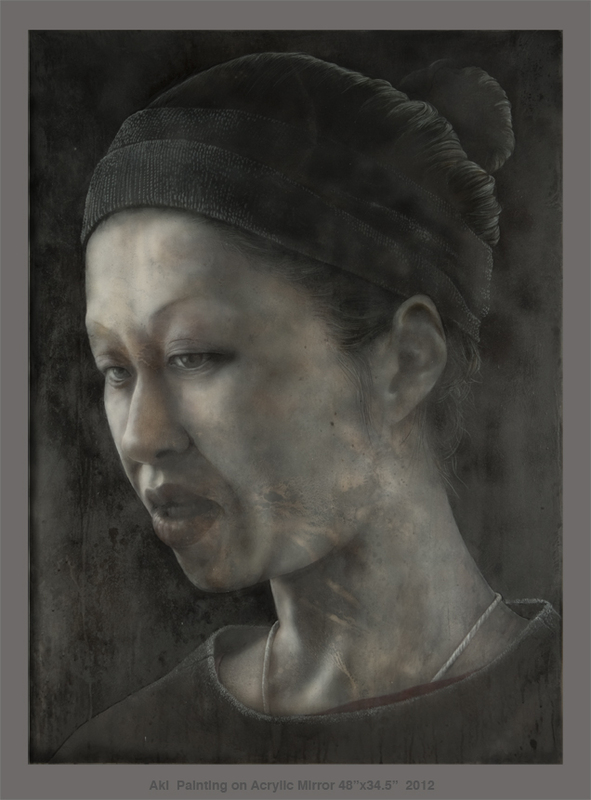 This fall I was selected as one of the 25 finalists for the 2011 Charlatan Ink Prize for my mixed media work Black Rain – Black Water: Legacy . The exhibition was held at the unique art hotel, the Carleton Arms, on East 25th Street in Manhattan. I was chosen to exhibition two works in the Woodstock Byrdcliffe Guild show at the Kleinart/James Center for the Arts which ran September 9 – October 16. In the beginning of June I traveled down to New Orleans for the opening of my solo exhibition in the Jonathan Ferrera Gallery middle room. 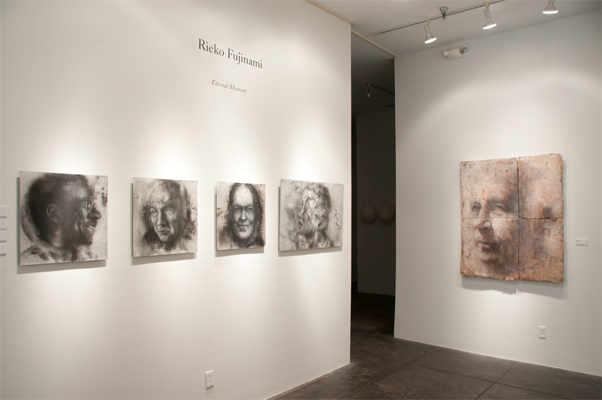 The show featured many of my frescos and clear film pieces. It was also a great opportunity to enjoy the great food and ambience of the “Big Easy” for a few days.